Don’t let this attack on Americans' health go by unnoticed. It's the height of summer smog season—a time when the smog-forming pollution spewing from America's power plants, factories, cars, and oil and gas operations puts the health of Americans in even more jeopardy. When these industrial emissions react with heat and sunlight in the atmosphere, breathing irritates our airways and increases our risk of serious heart and lung diseases. Nearly 4 out of 10 Americans live in areas with unhealthy levels of smog pollution. But rather than protecting Americans, the House passed the "Smoggy Skies Act"—a bill that aims to gut our nation's bedrock clean air protections. And your Representative stood on the wrong side, supporting this devastating bill. Don’t let this attack on Americans' health go by unnoticed—make sure your Representative hears from you today. I'm writing today in strong opposition to your support of the "Ozone Standards Implementation Act." 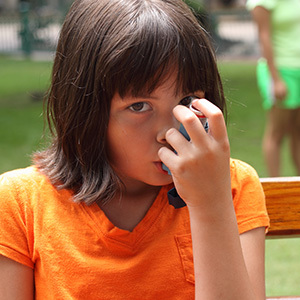 This legislation would delay standards that would prevent hundreds of thousands of asthma attacks among children every year when in place. There is a large and growing body of scientific studies that shows air pollution is dangerous even at lower levels than those of our current standard. Nearly 4 out of 10 Americans live in areas with unhealthy levels of smog pollution. With this vote, you put the interests of polluters above their health and safety, and ignored the 700 health professionals from all 50 states who have urged Congress not to weaken our Clean Air Act protections. Please reconsider your stance in future votes, and put the health of our communities first.